This formula incorporates all the classic ingredients (mostly) that you would expect - chamomile, serotonin and melanin. A plus is that you can chew this tablet so take it without water. Insomnia can be short-term or chronic, and can also refer to different phases of your sleep cycle interruption. For example, you could have onset insomnia which means you struggle with sleep initially but once past that, you sleep soundly. You could also have middle-phase insomnia which means you wake up in the middle of the night. Sleep struggles can be brought on by biological factors such as an interruption to your brain’s sleep-wake cycle, also known as circadian rhythms. Often the feel good and relaxation hormone serotonin is not being manufactured, and this could be due to reasons such as depression or anxiety. Pain, such as those often suffered by people with disabilities, sleep apnea, restless foot syndrome or any number of other ailments, leads to sleep interruption. This causes a loss of productivity and declining good mood over the long term. 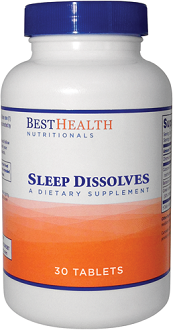 Today we review Sleep Dissolves by Best Health Nutritionals. Best Health Nutritionals promises that Sleep Dissolves will help you rest your internal sleep-wake clock and increase your melatonin levels so you fall asleep quickly and peacefully. 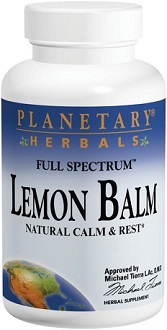 A proprietary blend of chamomile, passion flower powder and lemon balm. Melatonin is a classic sleep formula ingredient that studies have backed up as working time and time again. The amount in this product falls within the prescribed limits of 1 to 3 mg per day. It can be habit forming if you take it over the long term. It is a good synthesis with chamomile, passion flower and lemon balm, all of which calm the nervous system. 5-Hydroxytryptophan (5-HTP) is needed to make serotonin, which has huge benefits for calm-inducement, mood elevation and better sleep. L-Theanine is an amino acid that is often used to lower blood pressure as well as stress and anxiety levels. Chew 1 tablet or let it dissolve in your mouth. Make sure to swallow it 15 to 30 minutes before bedtime or at any time during the night. You do need need to take this tablet with water. Do not use if you are under 18, pregnant or lactating. Do not operate heavy machinery or drive within 3 hours of taking Sleep Dissolve. 3 Bottles cost $89.85 and shipping is free. 6 Bottles cost $179.70 and shipping is free. An extensive 100% money-back guarantee policy is stated and issued by Best Health Nutritionals. In a bold move, the manufacturer says this guarantee never expires. It does appear though that this guarantee only covers products that you buy via the online store, not third-party resellers. 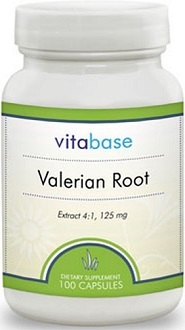 This formula incorporates all the classic ingredients (mostly) that you would expect – chamomile, serotonin and melanin. A plus is that you can chew this tablet so take it without water. Together, they should help the sleep-wake cycles reset by suppressing the hyperactive nervous system that arises when you are anxious or stressed, and stops you from sleeping. It also feed the thyroid with the building blocks it needs to feed the brain with the correct compounds needed for sleep, and waking refreshed again. 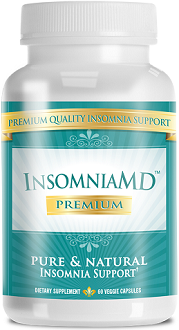 That said, you do need to be cautious when using this product – one drawback is, it probably isn’t the best long-term solution you can find, because some people find that they cannot sleep without melatonin after a while. It also lacks magnesium, which is one of the most important minerals require to bring about a feeling of relaxation. While this is a good formulation which should work, there are more thorough ones successfully synthesizing more than 10 essential minerals, amino acids and nutrients, and have less of a potential to be habit-forming.